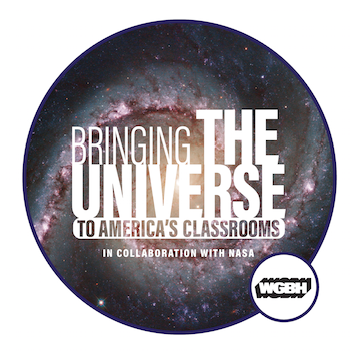 WGBH — America’s premier producer of science content for public television and media from Curious George® to NOVA® — has been awarded a NASA cooperative agreement* to develop digital media and online tools for K-12 STEM classrooms. Resources developed from the project, Bringing the Universe to America’s Classrooms, will be distributed free of charge through PBS LearningMedia™, impacting millions of students and teachers nationally. WGBH would appreciate your participation in a brief survey to better understand what types of digital materials are used in K-12 classrooms for STEM instruction and to learn what types of resources are on your wish list. The survey closes at 11:59pm EDT on Tues., June 14, 2016. Based on the time stamp of your responses, the FIRST and the FINAL 50 respondents will receive a $50 gift card. Explore which digital STEM resources you are currently using in your classroom. Determine your preferences for ways to use digital resources in the classroom. Explore the types of resources that you feel are most useful to motivate and engage students and to support their learning. When you take this short survey (10 minutes), your feedback will inform the development of student and teacher digital media resources. Please remember that your full contact information is required to be eligible for the gift card. If you have questions or comments, you can email carolyn_jacobs@wgbh.org.